Yesterday I was in Seattle visiting with the inspiring women who founded Passports with Purpose. Many of you reading this blog participated in the PwP 2011 fundraiser this past December to build two libraries in Zambia by contributing $10 for the chance to win a travel prize. Perhaps you even entered for the chance to win 110,000 Hyatt Gold Passport points donated by Hyatt Hotels who sponsored Loyalty Traveler blog for the PwP projects in 2009 and 2011. I sat at the table yesterday eating a sandwich and watched Pam Mandel, Beth Whitman and Debbie Dubrow pound out work on computer keyboards and their phones while I watched clouds roll by the hills of a West Seattle vista on a partly sunny day in Seattle. The PwP organizers were hard at work. I gathered from the table conversation they were developing some kind of postcard project related to Passports with Purpose, but the project wasn’t clear to me at the time. A few hours later I received an email and all that keyboarding and postcard discussion came into focus. Passports with Purpose caught the attention of Expedia.com who are sponsoring the airfare and lodging for the Passports with Purpose co-founders to travel to Zambia in a few weeks to attend a ribbon cutting ceremony for the new libraries built from the 2011 PwP fundraiser. Passports with Purpose had an ambitious goal of raising $80,000 for the Zambia library project and ended up raising $90,000 with the December 2011 fundraiser. The Passports with Purpose co-founders have created a postcard social media project as a way to include all the people who contributed to make PwP 2011 a successful fundraiser capable of building libraries in Zambia. Here is the Passports with Purpose email explaining the postcard project. Passports with Purpose postcard project. We’re thrilled to announce that most of the Passports with Purpose founders crew is headed to Zambia to visit the project you helped build this year! The trip is made possible by Expedia; they’ve generously sponsored our airfare and hotel accommodations. In Zambia, we will see the results of your work, attend a ribbon cutting, and gather stories about the kids who benefit from the 2011 Passports with Purpose initiative. We can’t bring you all along in person, but we hope to carry you with us in another way. We want to collect your postcards and pictures for a photo album that we’ll deliver to the library. It’s a great way to show the kids in Zambia the people from around the world who worked together to make their library a reality! So, if you helped by making a cash donation, providing a prize, or spreading the word on your blog or social media we hope you’ll participate. Send us your postcard (or postcard sized pictures). It can be a postcard from your hometown, a trip that meant a lot to you, or a picture of you doing something you love. Don’t forget to write a note on the back! We’ll be posting some of our favorites online, so let us know if it’s not ok to share in that way – we promise to respect your wishes. Put your picture or postcard in the mail by May 1 – you can send it to: Passports with Purpose, P.O. Box 16102, Seattle WA 98116. Make sure you allow enough time for it to get to us before May 3rd. We’ll post pictures and stories about our journey in the usual places, Facebook, our blogs, Twitter. Here’s where to find us. Debbie blogged about Visiting the Libraries you built in Zambia yesterday as did Beth Whitman – Zambia Bound – Passports with Purpose and Michelle Duffy – I’m Going to Zambia in May. This is an inspirational story for those of us who write travel blogs and share tips and advice and experiences. The power of social media is exemplified through this small grassroots effort organized by four Seattle women travel bloggers. In 2008 Passports with Purpose launched as a way to organize and coordinate the efforts of travel bloggers and travel providers and suppliers to raise money for small scale humanitarian projects that make a difference in people’s lives. Spending $10 a ticket during the Passports with Purpose annual fundraiser is a chance to win a cheap travel getaway or travel gear. The combined contributions for $10 tickets from thousands of participants over the past few years, less than the cost of a movie theater ticket in the USA, have resulted in a village in Cambodia having a school and teacher, a village in India having housing and clean water, and thousands of learners in Zambia having access to libraries for books, information and knowledge. Yesterday I was in the presence of influential travel bloggers who use social media for more than their own benefit. Passports with Purpose demonstrates how a few enthusiastic individuals can have an impact on the daily lives of so many people, so far away, living in conditions so different from our own. Chances are the place you are from is as unimaginable to a Zambian as Zambia is to most of us. That provides a great reason to participate in the “Postcards with Purpose” activity organized by the women of Passports with Purpose. Share a picture and note from your life to include in a gift to the new Zambian libraries. I realized yesterday that I never really researched Zambia when I participated in the 2011 Passports with Purpose fundraiser. Wikipedia and CIA: The World Factbook provided some quick data. Median age 16.5 years meaning more than 50% of the country’s population are children by our U.S. definition of an adult being 18 years old. 11th fastest growing population globally out of 226 countries. Education – 7 to 8 years of school is average. Fees inhibit secondary school (high school) attendance. Literacy rate estimated in 2003 at about 81% with lower literacy among females (75%) than males (87%). 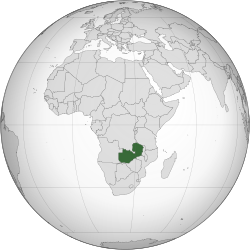 Zambia was created from Northern Rhodesia in 1964 after nearly a century of British colonialism. 44% of the population in Zambia is urban. 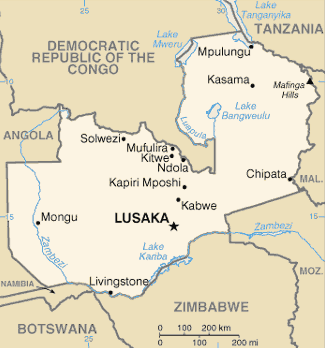 Urban growth accelerated in the past decade with Lusaka, the largest city, growing 35% to nearly 1.5 million residents in ten years. 64% of population is below poverty line. Labor force is 85% agricultural, 6% industry; 9% services. Zambia Tourism – Victoria Falls, the world’s largest waterfall, and wildlife safaris are the top tourism draws. The ice plant on the Monterey Peninsula is reaching its colorful peak over the next few weeks. I think that might be my picture idea for this project. Here are photos of ice plant flowers in Pacific Grove from May 2010. I’ll be taking photos with purpose over the next couple of days. Passports with Purpose is a great project. I’m proud to say that I have been a supporter since the beginning. I specialize in equestrian travel. One day I hope to ride horseback on safari in Africa. What a Trip! The beauty of Passports with Purpose is the ability for any travel blogger to easily get involved. In November 2009 I simply posted on Twitter asking if any travel company wanted to sponsor me for a Passports with Purpose prize. Hyatt Gold Passport responded within the hour and set up a 50,000 points prize for PwP. In 2011 Hyatt bumped the PwP prize up to 110,000 points. The time involved for me was really negligible considering the impact the fundraiser has on the lives of the beneficiaries. Everyone benefits from blogger exposure to corporate donor exposure to infrastructure improvements for an international community. Passports with Purpose truly allows travel bloggers the opportunity to help make a difference in people’s lives. And the women in Seattle who founded PwP deserve credit for building an organization that is gaining more attention from the travel industry each year. I can’t wait to find out what the 2012 project is going to be. And I hope to see the school in Cambodia or the libraries in Zambia myself one day.